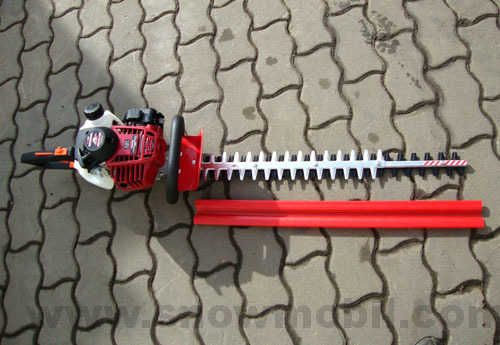 This hedge trimmer has a double sided sword. 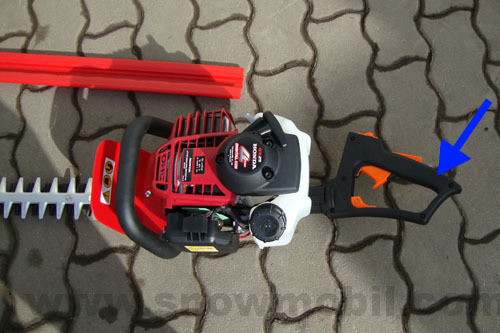 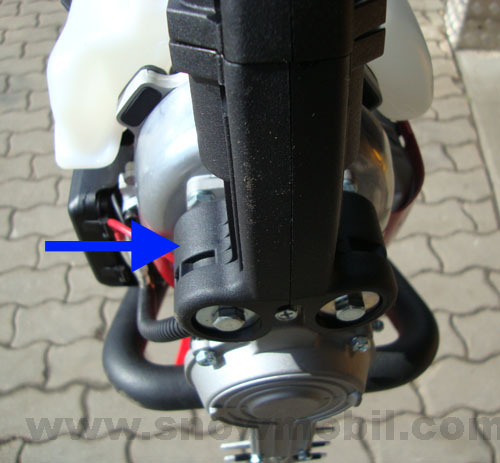 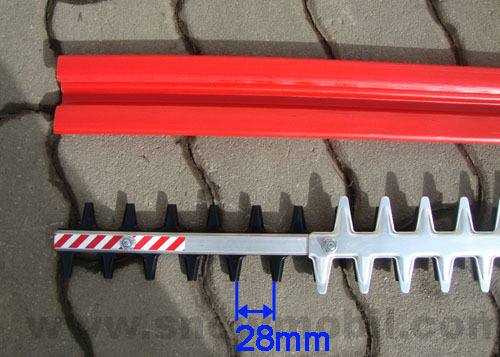 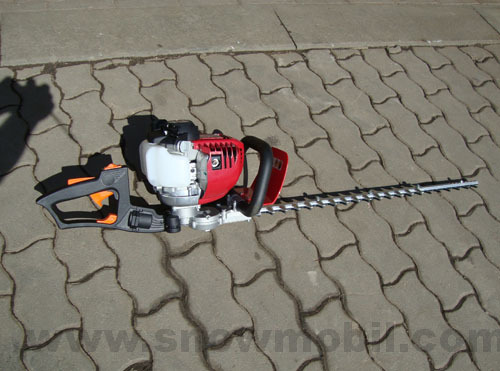 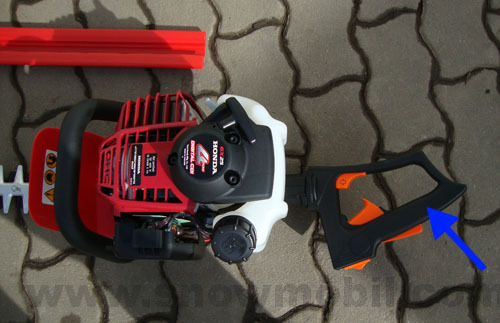 The rear handle can be adjusted to the right and left.The hedge trimmer is equipped with a vibration damping system. 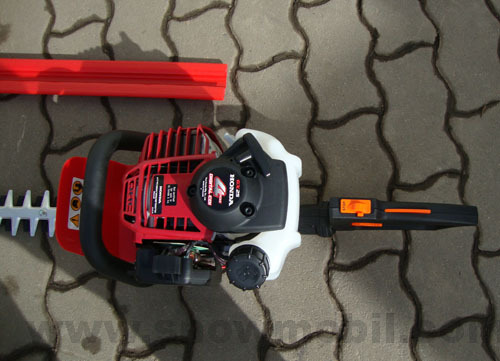 The Honda 4-stroke engine is very powerful, fuel efficient and with low emissions. 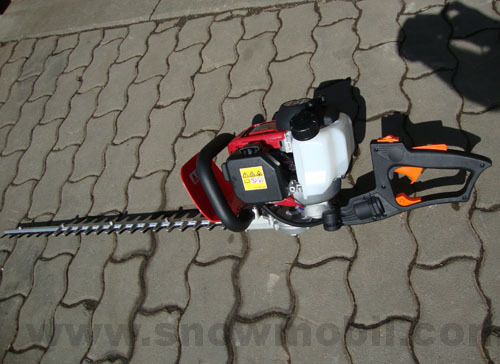 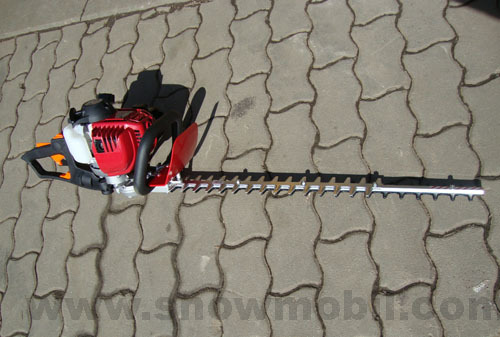 These are the advantages of this hedge trimmer.